ORLANDO, FLA – Corporal punishment – or the use of spanking as a disciplinary tool – increases aggression in young children in the long run and is ineffective in teaching a child responsibility and self-control. In fact, new evidence suggests that it may cause harm to the child by affecting normal brain development. Other methods that teach children right from wrong are safer and more effective. The policy statement, to be published in the December 2018 issue of Pediatrics also addresses the harm associated with verbal punishment, such as shaming or humiliation. 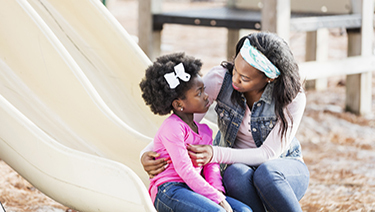 The AAP supports educating parents on more effective discipline strategies that teach appropriate behavior and protect the child and others from harm. Dr. Sege will discuss the statement during a news conference at 9:30 a.m. Friday, November 2 in the Orange County Convention Center, Room 221A. Also speaking will be Jennifer Shu, MD, FAAP, Medical Editor of HealthyChildren.org, and co-author of Baby & Child Health.